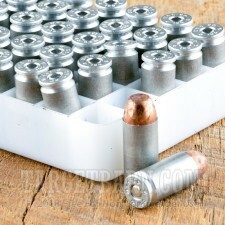 Enjoy plenty of trigger time at a low per-round cost with this case of 1,000 cartridges in .40 Smith & Wesson. 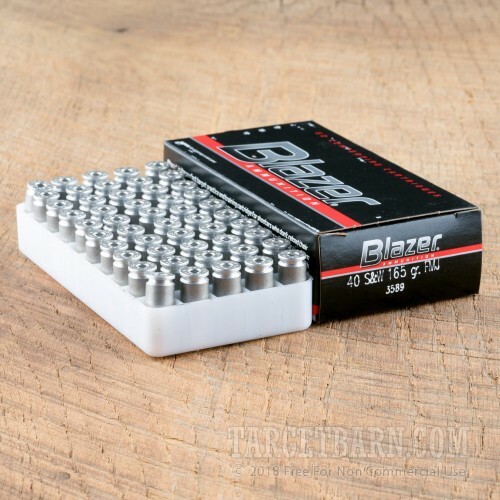 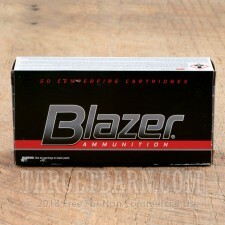 This ammo is made by Blazer, a division of the Vista Outdoor group. 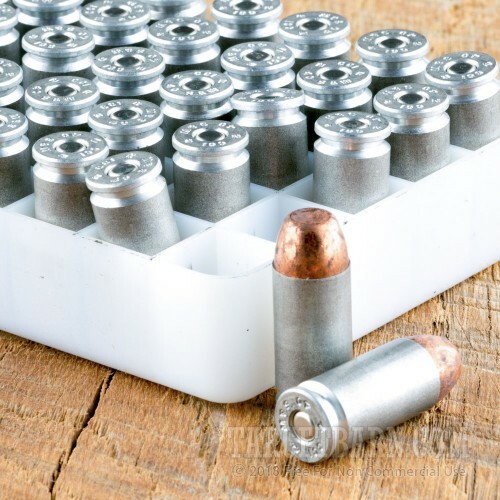 Each cartridge in this case fires a 165-grain full metal jacket bullet at 1,100 feet per second, with external ballistics comparable to those of many .40 S&W defensive loads. Blazer ammo is made in Lewiston, Idaho using non-reloadable aluminum cases and non-corrosive CCI primers renowned for their reliable ignition.